Ten remixes. Ten different interpretations and styles. 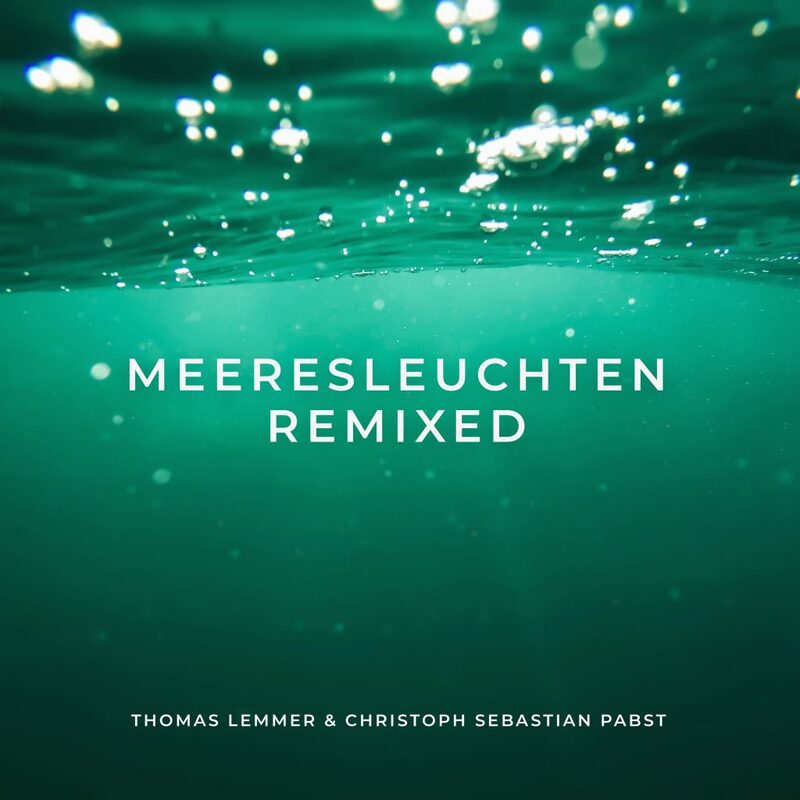 This is “Meeresleuchten Remixed“ by Thomas Lemmer und Christoph Sebastian Pabst. The brand-new EP will be released on 27th of April on the label Sine Music and will be available at all well known download stores and streaming services. Just like the EP “Meeresleuchten“, the remix EP starts with a meditative remix by Der Waldläufer. From the first til the last note, you are enchanted. The following Eskadet Remix beams you to Ibiza’s shores with its Mediterranean guitars and sequences. Having your first cocktail in your hand the journey continues with Gold Lounge into the sunset. A deep bass and a driving beat drone from one of the island’s famous clubs. Florian Shipke’s remix gives you exactly this feeling. The unexpected follows from Sferix. He created a Drum ’n’ Bass version of the originally very chilled track „Pastellstrand“. Polished Chrome leads you into the world of 90’s clubbing and combines vintage with modern sounds. The tempo slows down and the EP gets „deeper“. The Golden Tone Radio Remix dives into the depths of soundscapes. Houie D. continues with percussive and groovy sounds. Dense’s remix is just like a movie soundtrack. Close your eyes, ease your mind and just be. Woken up and brought back to the here and now you listen to Charlie North’s remix of “Meeresleuchten“ which is the last track on the EP. Thomas Lemmer says: “When I listened to the remixes for the first time I was really surprised which great remixers have done their work on this EP. It’s a wonderful thing to listen to your own music that has been interpreted in an entirely new way.“ The different styles of music from Ambient – Chillout over Electronica, Drum ’n’ Bass to Deep House makes a journey out of this remix EP. Also, the cover reflects the feeling perfectly and refers to the original EP. An all-around successful project of the Sine Music family with heart and soul, relaxation and variety.